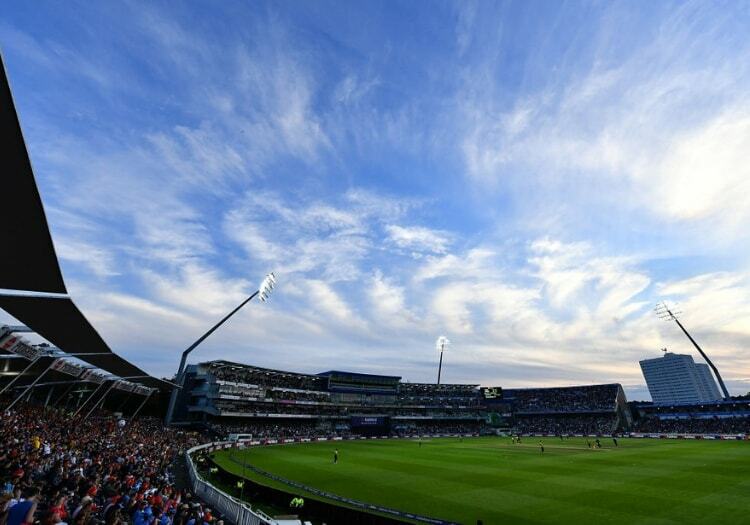 Warwickshire and Worcestershire are busy mapping out their playing and coaching strategy for the Edgbaston-based side in The Hundred – and the team will have Birmingham in the title. Yet, just last month, Worcestershire player Daryl Mitchell, in his role as chairman of the Professional Cricketers’ Association, expressed his concern that transferring local host county coaches and directors of cricket to run the home teams in The Hundred would compromise the new competition’s integrity. The counties appear to have rejected a more neutral model to allow some crossover, as reported in The Cricketer magazine’s March edition. 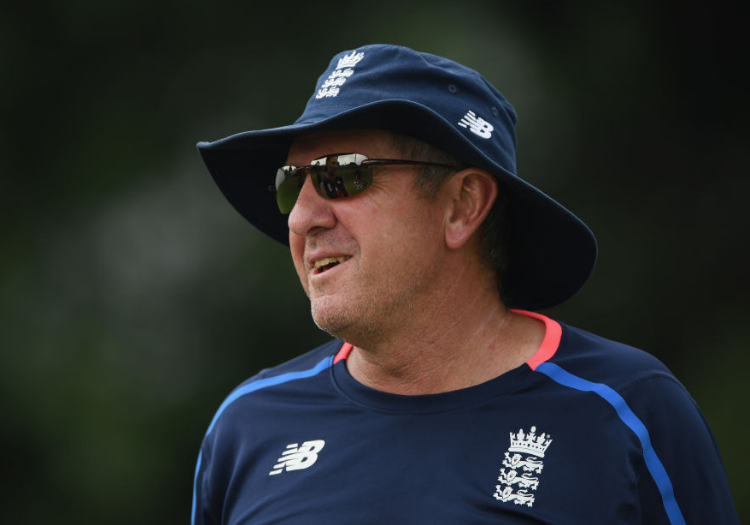 A report in the Evening Standard this week revealed that the West Midlands team are lining up Trevor Bayliss as head coach after he leaves the England team in September. That would mean some sort of reunion with Paul Farbrace, who was unveiled yesterday as the new Warwickshire sport director after being released as England’s assistant coach. 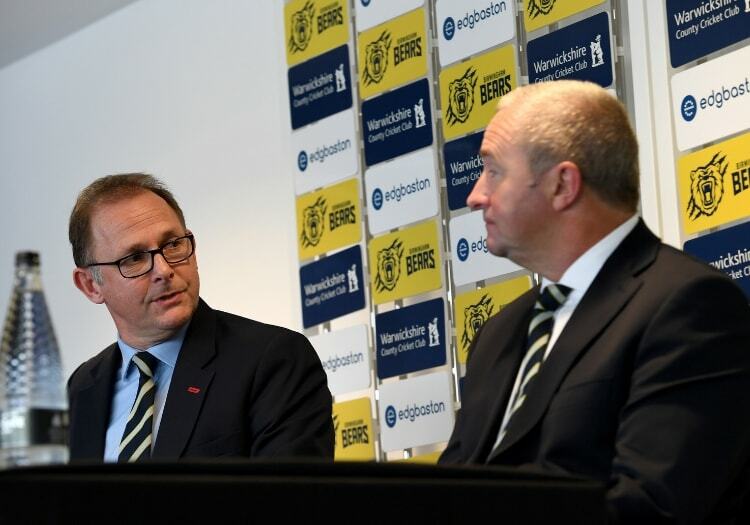 Neil Snowball and Matt Rawnsley, the Warwickshire and Worcestershire chief executives, will make up the Birmingham team board which makes most of the personnel decisions about their team for the new tournament, which starts in July 2020. Snowball told The Cricketer: “It’s largely down to the team boards to work out [playing staffs] – and it’s completely at their discretion who they appoint as head coach. Matt and I have had some really constructive discussions about the structure of the team, the head coaches we might bring in. I think some of the teams will go for the high-profile coach that’s doing the T20 franchise cricket circuit. We haven’t made our decision yet. Warwickshire and Worcestershire will consider retaining a number of their county players for the Birmingham team. Farbrace said that, after landing the Warwickshire job, he sat down in the Caribbean with Moeen Ali and Chris Woakes – two Birmingham-born players in the England squad – and picked their brains over the best coaches to consider for Birmingham Hundred team. "There’s been some debate about whether the teams should be branded by region, city or ground. In fairness there has been a lot of market research done. And in the West Midlands, Birmingham is the dominant city in the area"
Snowball added: “Paul’s been chatting to the England players about what they think. Woakes and Moeen – one Warwickshire, one Worcester – but both Birmingham boys, they’re both well up for it and have given some really good insight into the IPL and Big Bash – what works, what doesn’t work. There’s a lot we can learn from the guys who’ve been playing these big franchise tournaments. “From our point of view, we want an element of local heroes, so if we have Moeen and Chris leading [our team], a [Ian] Bell and a [Sam] Hain, then look at Worcester, a Pat Brown and other current winners of the T20 Blast. “Through the draft [this coming October] there will be an opportunity to do that. If we wanted to we could go quite heavily on those West Midlands players, with a smattering of those from elsewhere, and then we you have your three overseas. The endless politics of English cricket means that the eight teams will probably be badged with a combination of identities – some reflecting cities, and others regions or grounds. In the case of the West Midlands team, the profile of Birmingham and Warwickshire’s heft at Edgbaston seems to have won out. Northamptonshire, whose chairman Gavin Warren is on The Hundred board, have dropped out of the Birmingham team and thrown in their lot with the Lord’s side. Many Northants fans go to watch their cricket at Lord's, and that county are strengthening ties to the east and south. The West Midlands team plan to strengthen the regional identity by promoting their team heavily in the neighbouring counties of Staffordshire, Shropshire and Herefordshire. Warwickshire and Worcestershire already have a formal strategic relationship with the first two. The branding of a Birmingham Hundred team does present some challenges to Warwickshire, since they rebadged their T20 Blast side as Birmingham Bears back in 2014, and have spent five years establishing that brand identity. It was done so partly to raise awareness of the club in the city, especially among the South Asian population; but also to ally with Birmingham City Council, to whom the club are repaying millions from loans for redevelopment. As for the tone of The Hundred, Snowball says it will be a glitzy offering in keeping with the primetime slot that games will occupy in the TV schedule, with 10 matches shown live on the BBC. Although Warren’s Hundred board is primarily setting that agenda, Snowball maintains the counties are having a say, owing to the presence of the eight host city chief executives on an operational delivery group – which could well end up being the pivotal body. Warwickshire have long been in favour of a new city-based competition. And, while they and every other county except Surrey voted through the 100-ball aspect in February, he suggested there were still doubts about the playing format. “We’ve always, from a Warwickshire and Birmingham Bears perspective, been supportive of doing something new – a new, souped-up competition with city-based teams. We’ve never shied away from that as a good way of moving things forward. All the best international players, some really fascinating coaches that we’ve already had contact with, I think it’s exciting. “I know the ECB in particular keep talking about attracting a new audience, and we do want to, but it’s not at the expense of the existing audience. I’ve spoken to a lot of our members who will give it a chance, and if they don’t like it they’ll concentrate on the other three formats. The ECB and the counties are all stressing that agreements are in place to safeguard the 18-county system, after the counties voted in April 2017 to change the ECB articles of association to allow these new teams. But fears that The Hundred is part of a shortcut to reduce the number of first-class counties – or at the very least, will entrench the divide between the haves and the have-nots in the county game – has not completely gone away. "Maybe I’m naive but I don’t think there’s going to be too much concern about tapping players up. 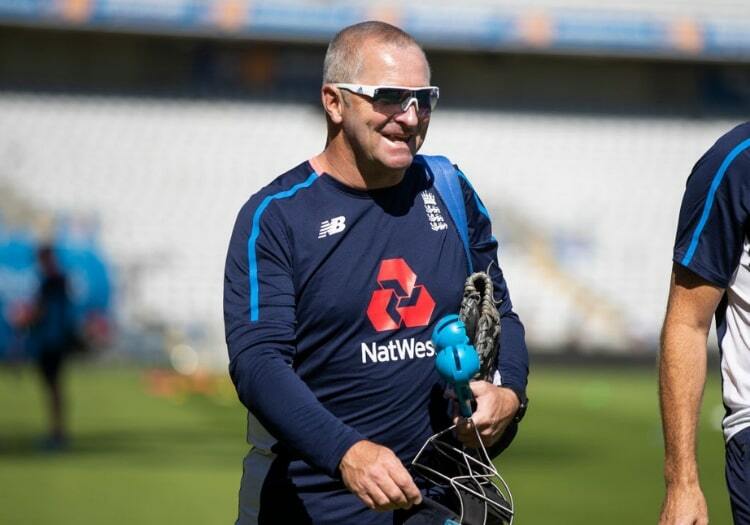 It’s an opportunity to get the best playing the best"
Farbrace – who has coached at Kent and Yorkshire, aside from his stints with Sri Lanka and England – made it clear that the bigger, Test-staging counties already have a lure to players from the smaller counties. “Inevitably the big clubs – the grounds with the international stadiums – will always have a slight advantage over everyone else. Players and coaches want to work at the best places with the best facilities and any coach wants to work with the best coaches and vice-versa. You’ve always got that as a slight pull. From his perspective as a director of cricket, he says the presence of The Hundred at the same time in the summer as the county 50-over competition will give more opportunities to coaches and players. “It’s an opportunity for all the clubs involved to grow their coaches. A lot of clubs are looking at the BBL and IPL, so why not have something in England they want to be part of? “Whoever gets involved, it will be a brilliant bridging of the gap between county and international cricket. It will an exchange of ideas and thoughts. Every player who’s gone to the Big Bash or IPL has come back with stories of being coached by different coaches with different gameplans and ways of thinking. That can only be good for county cricket to get different coaches mixing and talking.